Loving that stitching around the border. Super cute!!! Love the stitching and foil on the kiss!! 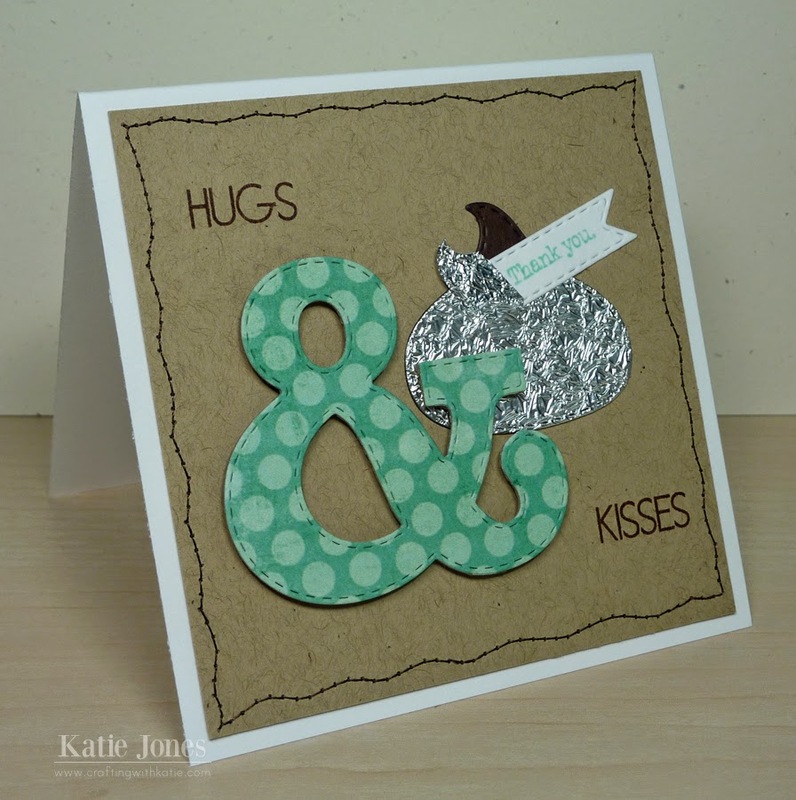 OMG Katie your card is Fabulous and oh so sa-weet!!! OMG your cool, clever and creative ideas are definitely outstanding!! Your machine stitching is awesome. GIRL YOU so ROCK!! Your card is soooo cute! Thanks for sharing your talent with us! I might have to scrap lift this and make it for my husband!! Great card design...love the chocolate and foil. I like the big ampersand too. Wonderful job! Katie, this is sooooo adorable!!! !